You are here: Home / Austin / 5 Weight loss tips…for your house! 5 Weight loss tips…for your house! 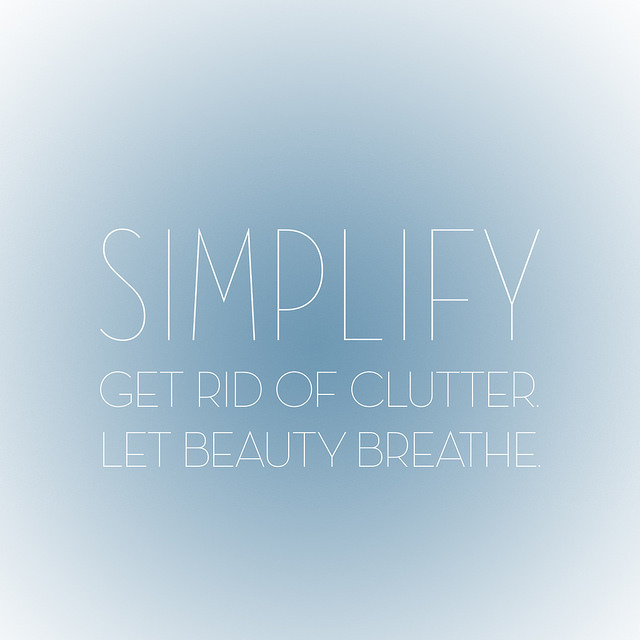 If you are getting ready to sell your house, or even if you feel you just need to clear your space up, declutter, purge and start anew – these tips can make it easy-peasy and relatively pain free. Getting ready to sell can be be overwhelming – but you know that getting rid of clutter and have a pretty minimalist clean look is ideal and more appealing to buyers, plus, it’s a fab time to really assess what you need and what you don’t want to take to your new home, your new frest start. I talked to my good friend and incredibly talented Professional Organizer Kim Manthey and got some super tips from her. She helped me pack and purge when I moved to a new house earlier this year! First pass through your house should take less than 15 minutes. Just walk through and grab the obvious things, trash, magazines, things clearly not being used. Take them straight out to the trash. Figure out and choose your donation place ahead of time. Research and find a place that will PICK UP! Especially if you have large items, furniter and/or multiple boxes. If you rely on putting them in the garage to take to the donation location “someday” it may not happen, or you will burn out on multiple trips to take it all. Get ruthless and honest. This is especially important in the clothes closet and the kitchen. Hold up an item, or put it on and ask yourself – do i like it or LOVE it? How does it make me feel? Does it spark joy? Maybe more important than do you love a dress or top, but do you CHOOSE it, do you see it and choose to wear it to a give occasion. The usual rule is not used in 6 months for clothes or 12-24 moths for kitchen items according to Manthey. I have also been hearing alot about a book called “The Life Changing Magic of Tidying Up: The Japanese Art of Decluttering & Organizing” by Marie Kondo. Everyone on practically every podcast I listen to swears by it and from what I gather she follows the “does it bring me joy” method of truly feeling if you love an item. Begin with the end in mind – visualize your new space. What does your new home represent for you? Is it a new start? A new lease on life? Do the items in your current space allign with that vision? If not don’t keep it!! This is what Kim helped me with the most and what I did, my new house was a complete change, a new chapter, a new dream and most of my old stuff did not fit in that vision.